Digitized programmable interface. 10mV/1mA High resolution. High stability, low drift. Over-voltage, over-current, over temperature protection. Intelligent fan control (changes by output power). Built-in buzzer alarm. Labview driver. Standard interface: RS-232C. Optional interface: GPIB (IEEE-488.2). Optional European jack type terminal. The PSS-Series are single output, 96 or 100W, programmable linear DC power supplies. OVP, OCP, and OTP protect the PSS series and their load from unexpected conditions. The LCD panel simultaneously displays output and other parameters; the regulated cooling fan ensures low noise for comfortable operation. 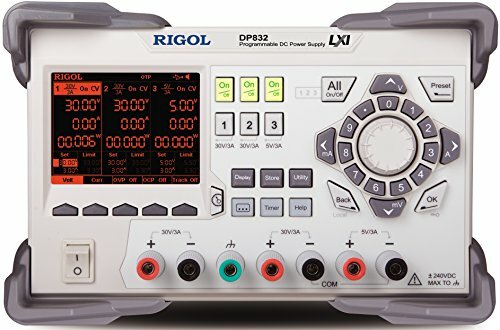 RS232C and GPIB interfaces, SCPI command sets, and Labview drivers make remote control and ATE software development easier. 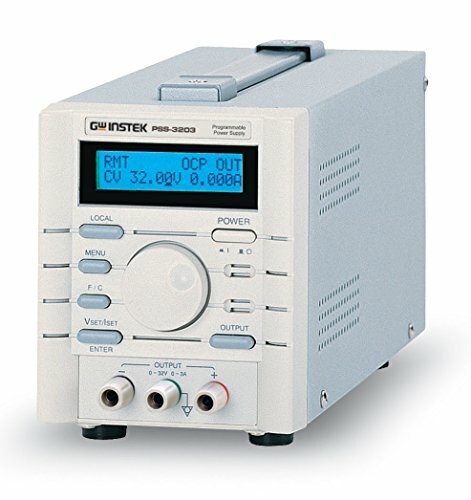 The compact PSS series are suitable for any high resolution bench-top or rack mount application. Output voltage: 0 to 32V. Output current: 0 to 3A. Output OVP: 0 to 33V. Resolution voltage: 10mV. Resolution current: 1mA. Resolution OVP: 10mV. Readback resolution voltage: 10mV. Readback resolution current: 1mA. Interface: Standard: RS-232C, Option: GPIB (IEEE488.2). Power Source, 100 MHz Bandwidth: AC100V/120V/220V+/-10 percent, 230V (+10 percent/-6 percent), 50/60Hz. Measures 108mm width by 140mm height by 315mm depth. 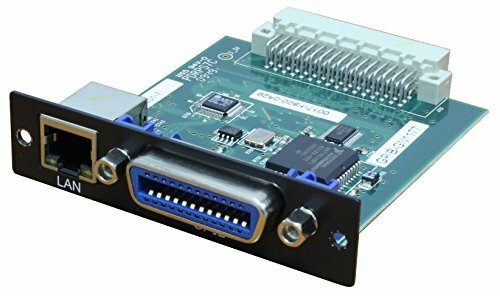 Model DRGL is a GPIB/LAN Card. This optional interface card can be installed by the user at time of purchase or upgraded later. Digitized programmable interface. 10mV/1mA High resolution. High stability, low drift. Over-voltage, over-current, over temperature protection. Intelligent fan control (changes by output power). Built-in buzzer alarm. Labview driver. Standard interface: RS-232C. Optional European jack type terminal. The PSS-Series are single output, 96 or 100W, programmable linear DC power supplies. OVP, OCP, and OTP protect the PSS series and their load from unexpected conditions. The LCD panel simultaneously displays output and other parameters; the regulated cooling fan ensures low noise for comfortable operation. RS232C and GPIB interfaces, SCPI command sets, and Labview drivers make remote control and ATE software development easier. 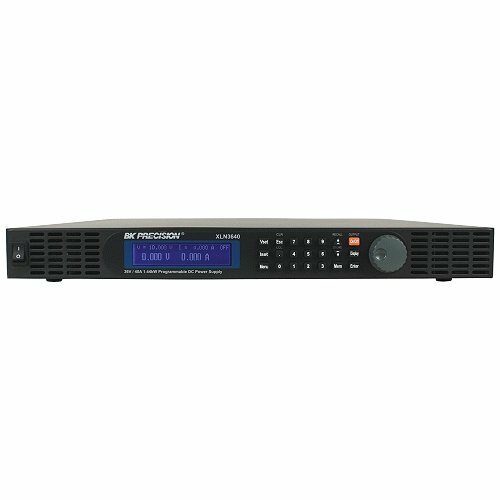 The compact PSS series are suitable for any high resolution bench-top or rack mount application. Output voltage: 0 to 20V. Output current: 0 to 5A. Output OVP: 0 to 21V. Resolution voltage: 10mV. Resolution current: 1mA. Resolution OVP: 10mV. Readback resolution voltage: 10mV. Readback resolution current: 1mA. 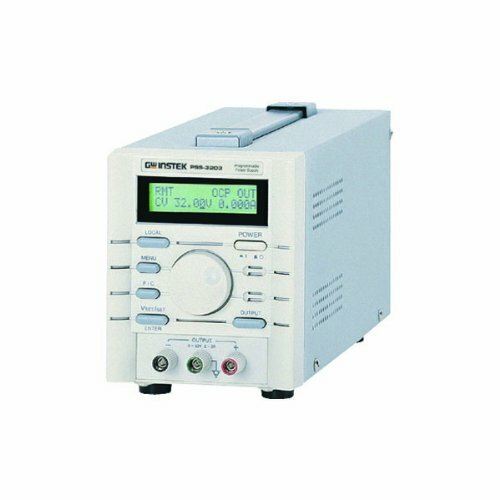 Interface: Standard: RS-232C, Power Source, 100 MHz Bandwidth: AC100V/120V/220V+/-10 percent, 230V (+10 percent/-6 percent), 50/60Hz. Measures 108mm width by 140mm height by 315mm depth. Digitized programmable interface. 10mV/1mA High resolution. High stability, low drift. Over-voltage, over-current, over temperature protection. Intelligent fan control (changes by output power). Built-in buzzer alarm. Labview driver. Standard interface: RS-232C. Optional interface: GPIB (IEEE-488.2). Optional European jack type terminal. The PSS-Series are single output, 96 or 100W, programmable linear DC power supplies. OVP, OCP, and OTP protect the PSS series and their load from unexpected conditions. The LCD panel simultaneously displays output and other parameters; the regulated cooling fan ensures low noise for comfortable operation. RS232C and GPIB interfaces, SCPI command sets, and Labview drivers make remote control and ATE software development easier. 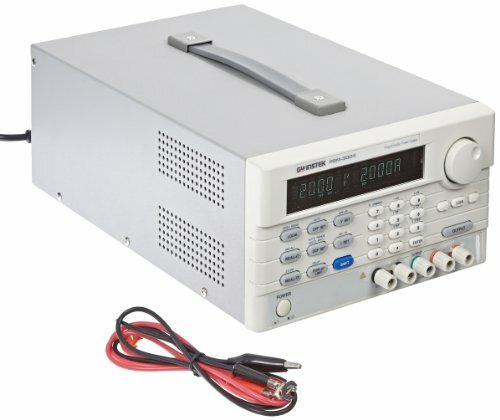 The compact PSS series are suitable for any high resolution bench-top or rack mount application. Output voltage: 0 to 20V. Output current: 0 to 5A. Output OVP: 0 to 21V. Resolution voltage: 10mV. Resolution current: 1mA. Resolution OVP: 10mV. Readback resolution voltage: 10mV. Readback resolution current: 1mA. Interface: Standard: RS-232C, Option: GPIB (IEEE488.2). Power Source, 100 MHz Bandwidth: AC100V/120V/220V+/-10 percent, 230V (+10 percent/-6 percent), 50/60Hz. Measures 108mm width by 140mm height by 315mm depth. 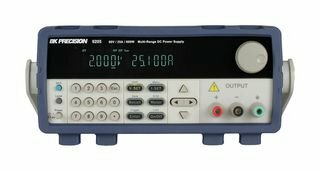 Looking for more Gpib Power Supply similar ideas? Try to explore these searches: Burlap Favor Bags, Beyond Modern Collection 3 Light, and Fog Lamps Billet Grille. Look at latest related video about Gpib Power Supply. Shopwizion.com is the smartest way for online shopping: compare prices of leading online shops for best deals around the web. 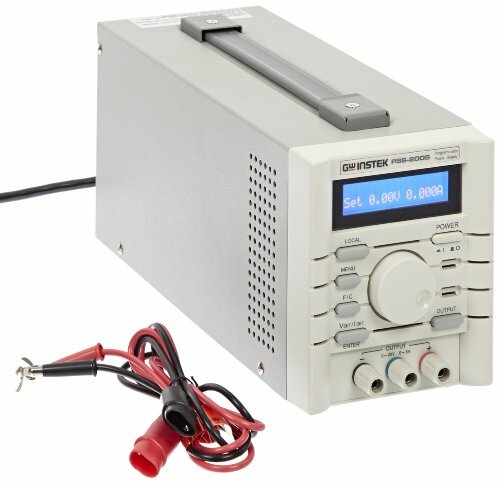 Don't miss TOP Gpib Power Supply deals, updated daily.